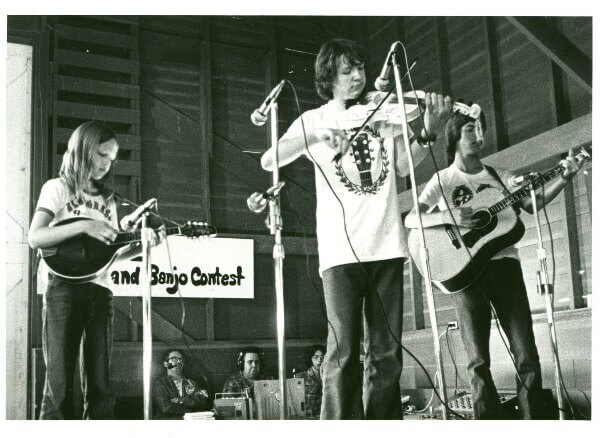 Evolving from 2 days in 1972 to its current 5 days, held the 3rd weekend of September annually, it endeavors to produce: “family fare” entertainment on 4 stages simultaneously; a large, quality, juried arts and crafts fair; workshops; and acoustic instrument contests. What began with 10 acts and 2 contests now boasts over 30 acts and 8 contests, including two international contests, 5 national contests and 1 Walnut Valley contest. The contests are a major part of the festival. 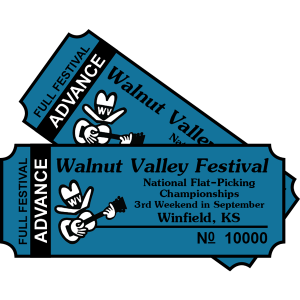 Along with the National Flat Pick Championships and the International Finger Style Championships, the Walnut Valley Festival hosts the International Autoharp, National Mandolin, National Mountain Dulcimer, National Hammered Dulcimer, National Bluegrass Banjo, and Walnut Valley Old Time Fiddle Championships. 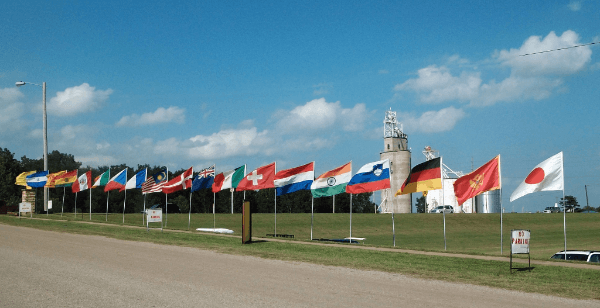 Over the course of years, the contests at Winfield have attracted more than 3,000 contestants from all 50 states as well as many foreign countries including Australia, Canada, Denmark, Sweden, England, Germany, Italy, Japan, New Caledonia, Switzerland, and Wales. 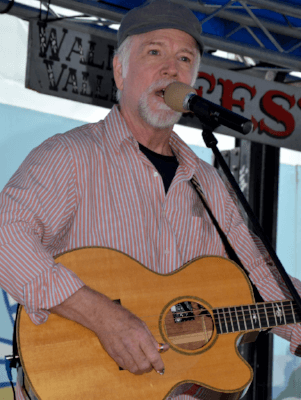 Well-known Winfield winners include Mark O’Connor of Nashville, Tennessee, who has won or placed in more Walnut Valley Festival contests than any other contestant. Mark won the National Guitar Flat-Picking Championship in 1975 and 1977, and also won the Walnut Valley Fiddle Championship in 1974 and 1977. Alison Krauss of Nashville, won the Walnut Valley Fiddle Championship in 1984. Gary “Biscuit” Davis from Knoxville, Tennessee is the first and only 4 time Walnut Valley Champion, winning the National Bluegrass Banjo Championship beginning in 1979, then 1988, 1996 and most recently in 2012. Steve Kaufman of Alcoa, Tennessee, became the first three-time winner of the National Guitar Flat-Picking Contest, having won in the years 1978, 1984, and 1986 respectively. Jason Shaw from Lincoln, Nebraska became the 2nd 3 time National Flat-Picking Champion winning in 1993, 2008 and 2010. The most recent and last of the current 3 time Flat-Pick Champions is Roy Curry of Chattanooga, Tennessee, winner in 1980, 1991 and 2012. Other musicians to reach 3 wins in championships at Walnut Valley include Dave Peters, 3 time Walnut Valley Mandolin Champion, Jeff Pritchard, Randy Howard and Tristan Clarridge, Walnut Valley Old Time Fiddle, plus Lucille Reilly and George Haig, in the International Autoharp Championship. In 2009, 18-year old Bryan McDowell came to the Walnut Valley Festival for the first time from Canton, NC. Bryan entered three of the eight contests at the Festival. When the dust had settled around Barn 4, the site of all of the instrument contests, Bryan McDowell would hear his name called not once, but a total of 3 times. As the first place winner in the Walnut Valley Mandolin Championship, the Walnut Valley Old Time Fiddle Championship and the National Flat Pick Guitar Championship. With the new National Mandolin Championship allowing Bryan to enter again in 2010, Bryan then joined the elite group who can claim winning back to back Championships with the same instrument at Walnut Valley by becoming the first ever National Mandolin Champion. 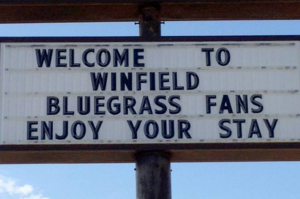 Other Winfield winners include Mandolin virtuoso Chris Thile, the Mandolin Champion in 1993 and Dixie Chick fiddler Martie Erwin Seidel in 1987 and 89. Festival attendance is around 15,000 annually. 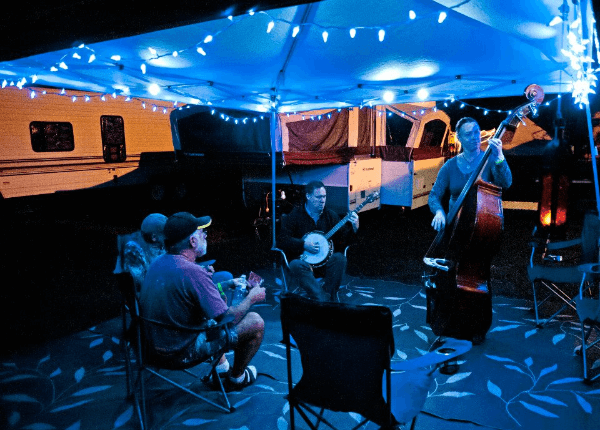 It is a “participation” event in that most people who attend play an instrument of some kind, and a good portion of them bring their instruments and participate in the campsite picking. Hired artists who appear on stage also go into the campgrounds and join around campfires to pick with everyone else. Lots of family reunions happen there, and many weddings have taken place at the Festival. The Walnut Valley Festival has always been a place to make new friends and renew old acquaintances. Though the festival is called “bluegrass”, it has never been JUST bluegrass. It now is a blend of all kinds of acoustic music: bluegrass, folk, Americana, old-time country, a little bit cowboy, Celtic, blues, jazz, swing and more. And the bluegrass is both traditional and progressive. Among those who have appeared on stage at the Walnut Valley Festival are: Lester Flatt, Doc & Merle Watson, Mark O’Connor, Alison Krauss, Mike Snider, Byron Berline, Dan Crary, Norman Blake, John Hartford, Tom Chapin, David Grisman, Merle Travis, Mike Cross, New Grass Revival, Hot Rize, Nickel Creek, David Holt, DeDannan (Irish), Tony Rice, Jim & Jesse, Jimmy Driftwood, Don Reno, Buck White, Red Clay Ramblers, Gamble Rogers, Joel Mabus, Bryan Bowers, Front Porch String Band, Robin & Linda Williams, The Dixie Chicks, Doug Dillard, Tom Paxton, John McCutcheon, and many more. The Walnut Valley Festival was honored in 1999 by the International Bluegrass Music Association. Being selected to receive the first ever “IBMA Bluegrass Event Of The Year” award was a proud moment for everyone who has worked to make the Walnut Valley Festival a success.